Will Clinton Cut Social Security? 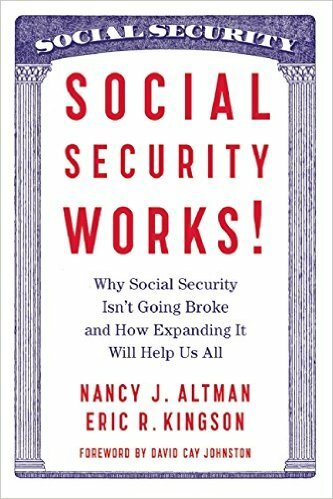 Altman is the president of Social Security Works and is the co-author of Social Security Works! Why Social Security Isn’t Going Broke and How Expanding It Will Help Us All. She said today that the Iowa caucus results provided “a clear rejection of Wall Street ideas, including cutting Social Security. Regardless of who they were supporting, 84 percent of Iowa Democrats said that they want to support someone who will never cut even a single penny of Social Security benefits. Given the nation’s looming retirement income crisis and growing income and wealth inequality, that is the right policy. “This situation presents Hillary Clinton with an excellent opportunity to showcase her independence from Wall Street, and build momentum going into New Hampshire. Senator Sanders has already pledged that he will never cut Social Security’s earned benefits under any circumstances. If Secretary Clinton does the same, it will demonstrate to Democratic voters that she stands with them against all attacks on Social Security. We call on her to meet this challenge. “Some politicians who want to cut Social Security but do not want to lose the support of current seniors propose cuts in the future — pledging, for example, not to cut the benefits of anyone currently aged 55 or older — but these will cut the benefits of those who will need them most, when the retirement income crisis is in full swing. Others, who want to dismantle Social Security by converting it from insurance into welfare, propose to improve benefits for the most vulnerable, but cut them for those they call ‘higher income’ but are decidedly middle class. Various so-called centrist groups, like Third Way, which is primarily funded by Wall Street, have proposed these kinds of plans. “Secretary Clinton has not been clear about where she stands. She has talked about expanding benefits for those who are most vulnerable, but has been silent about whether she would support cuts. She has actually hinted in some statements that she might be open to them.